Rating: one deep, heartfelt sigh of contentment. 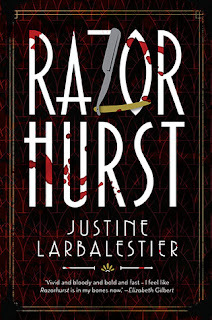 To prepare myself for Falconer's Lure's arrival (and also because there is a Facebook Antonia Forest read-through going on), I decided to re-read the first two volumes in the series. 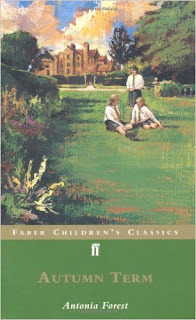 Autumn Term was published in 1948, and in some ways it is a very old-fashioned children's novel. This summary makes the book sound like the most conventional of school stories. But it's so much better than that. Antonia Forest peoples her school with a cast of complex, realistic and not always likeable characters. Even our heroes, Nick, Lawrie and their new friend Tim (Thalia, the Headmistress's Niece), have their flaws. Nicola can be almost irritatingly stoic, but she is also impulsive (in the very first chapter, she stops the train to rescue her new pen-knife). Lawrie is sometimes babyish and self-absorbed, and Tim, clever and amusing, can also be coolly manipulative. The form mistresses can be unjust, the lofty older girls can be self-deceiving and have feuds of their own. At every turn, Forest turns the reader's expectations upside down. And she subtly contrasts the stereotypes of school narratives with the reality the twins face. 'Don't pretend you're the tomboy of the Fourth Remove,' says one of their sisters to another. 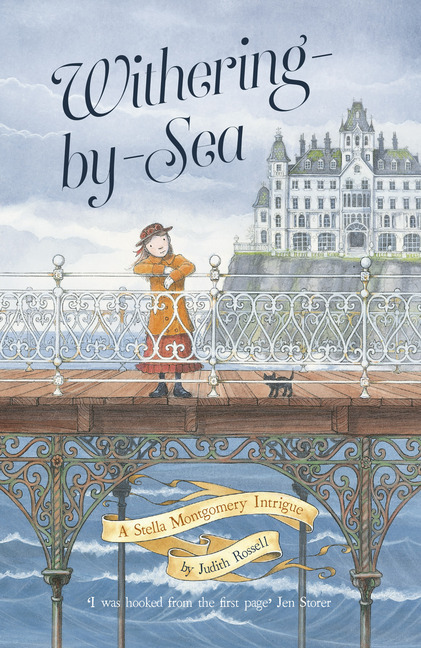 Nicola spins herself a fantasy of running away to sea, and when she actually does break bounds to visit her older brother Giles, the episode ends badly, not because she's discovered and punished, but because Giles himself is furious and disapproving when she appears. There is a constant dialogue in all the books between reality and fiction, and Autumn Term sets up this tension beautifully. But the absolute triumph of Tim and the twins when they pull off their play of 'The Prince and the Pauper' at the end of term, is nonetheless perfectly satisfying, if somewhat unlikely. At least they realistically fail all their exams because they've put all their efforts into the play! These are some very accomplished and knowledgeable twelve year olds -- something I found inspiring rather than daunting, as a teen reader. I just love these books and it was a joy to re-visit Autumn Term again, even though it's not actually one of my favourite Forests -- it might just sneak into my top five of the ten books in the series. I'm already looking forward to the next one. 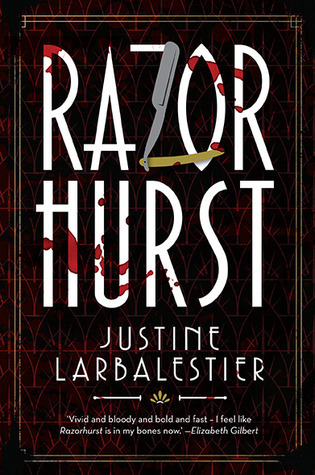 Stellar YA author Justine Larbalestier was inspired to write Razorhurst after moving to the inner Sydney suburb of Surry Hills and learning about its dark and violent past. A haunt of gangsters, brothels, sly grog shops, standover men and all manner of criminality, the narrow streets of 'Sorrow Hills' and the surrounding suburbs were what you might call 'colourful' in the 1920s and 30s, though these days they are so thoroughly gentrified that few traces of their seedy past remain. I borrowed this from the library for the Convent book group, as part of our Setting theme for next month, but I'd been keen to read it ever since it came out. While I can't claim to know this area of Sydney well at all, I had a friend who lived in Palmer St, where Tilly Devine (one of the models for Gloriana Nelson) had her real-life headquarters, so I could imagine at least some of the streetscape. I also read Poor Man's Orange by Ruth Park for school, set in those same Surry Hills streets. 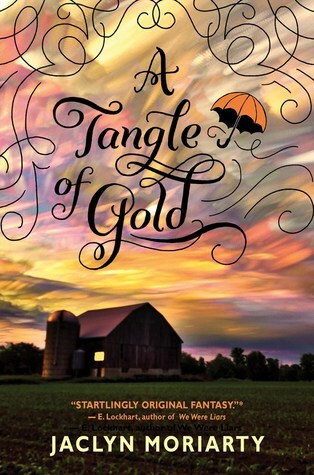 Historical fiction meets ghostly fantasy -- I'm sold. Is there a name for this sub-genre of children's books -- Victorian intrigue, perhaps? 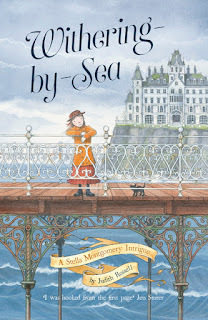 There seem to be a few of them around at the moment, with resourceful, sometimes paranormally gifted heroines: Susan Green's lively Verity Sparks series, Jen Storer's spooky Tensy Farlow, and now Judith Rossell's delightful Withering-By-Sea, which promises to be the first of a series of Stella Montgomery adventures. Rossell's lovely blue ink illustrations lend a special atmosphere to this beautifully produced volume. Stella lives in a big hotel with her three creepy aunts in a gloomy town by the sea, but it doesn't take long before she is up to her neck in mystery -- a burglary that takes place by the light of a dead man's hand, a murder that is not all it seems, a sinister bottle with a supernatural secret. A cast of colourful characters, including many cats, help Stella out, but the central mystery of her parentage is left unresolved -- for now. For me, all these books seem to share a line of inheritance descending from Joan Aiken -- I found lovely echoes of The Wolves of Willoughby Chase (the seminal Victorian intrigue, for my money) with a sprinkling of Dido Twite. I adored Aiken's novels and I hope that a new generation might re-discover them, led by the hand by Stella, Verity, Tensy and the rest. But I guess that current fans of the genre might have enough reading to be getting on with! I have a friend who used to say that she found the idea of being shut up in a mad house quite appealing. She has continued to be fascinated by abandoned lunatic asylums (I know we don't call them that any more). Me -- not so much. 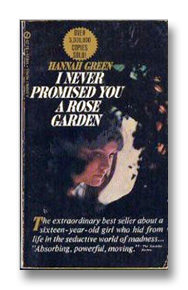 I don't know where my copy of I Never Promised You A Rose Garden by Hannah Green (Joanne Greenberg) originally came from. I found this battered paperback in my parents' house, and I know I've read it before, so long ago that I can't remember. I've been re-reading it very slowly, nibbling away at it at bed-time, because I find it quite frightening. The book (a huge bestseller) is a semi-autobiographical account of a sixteen year old girl's battle with mental illness, her three year stay in a mental hospital, and her eventual emergence into engagement with the real world. Deborah has invented an internal world which served first as a retreat from the pain of her reality, and then became an all-consuming, punishing reality of its own. Deborah is described in reviews as suffering from schizophrenia, but apparently this is not an accurate diagnosis; she seems instead to have depression, with elements of somatization (psychological illness presenting as physical symptoms). Well, whatever the case, Deborah is clearly very unwell. I think what I found frightening was the fact of Deborah's immersion in her invented world, which became far more real to her than the external world. Yr is a poetic, beautiful and terrifying realm with its own language, peopled with gods who fall through fire, veiled goddesses, and harsh judges who end by tormenting Deborah instead of protecting her. As a teen (and younger, and older), I had an internal world of my own, albeit not as vivid, scary or powerful as Deborah's, and I also shared the 'strange and seductive' pull toward becoming lost there. With distance and time, I don't feel that any more; my own internal, parallel existence has lost its sheen and its power. But reading Rose Garden, I sensed the shadow of that ancient, tidal tugging, the wobbling of the tightrope, and the shadow of that ancient fear passed over me again.